Megan Holleran stands by a sign on her family's land. 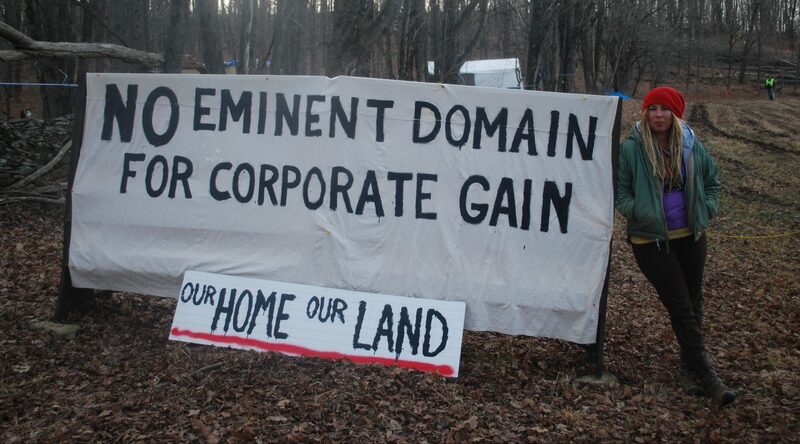 The Hollerans lost their court battle to save their maple trees from eminent domain seizure. The trees are being cut to make way for the new Constitution Pipeline, which has been stalled amid legal battles.